The Women’s Guild of Sts. Sahag & Mesrob Church, Providence, RI, will host “Saintly Women’s Day” on Saturday, Mar. 30, starting at 10 a.m., at the church (70 Jefferson St., Providence). 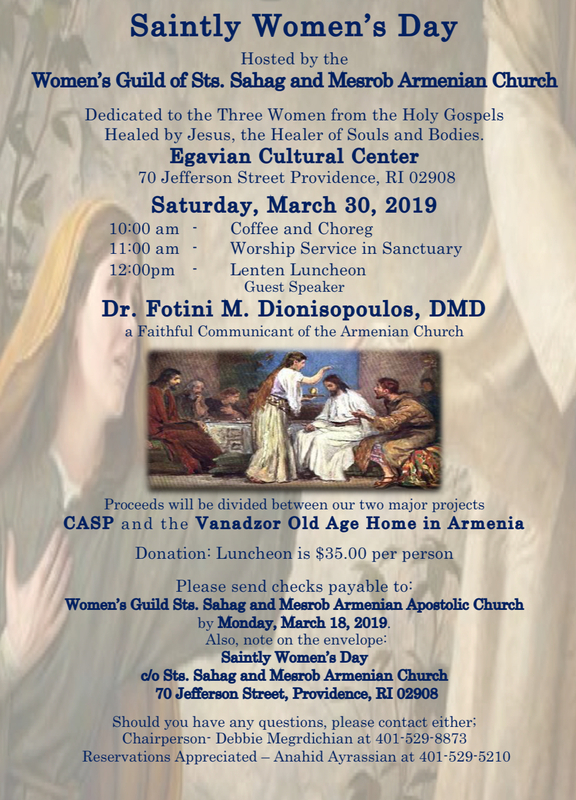 Coffee hour, prayer service, followed by luncheon and program, with guest speaker Dr. Fotini Dionisopoulos. Open to public, but RSVP by Mar. 18; for ticket details, click on the link to view a flyer.